Once again, as in so many years past, this spring will usher in the time for that age-old college tradition: the on-campus job fair. For the soon to be college graduate, job fairs are an opportunity to meet recruiters from corporations of nearly every type and potentially secure that coveted job prior to graduation. Although doing so has become increasingly less likely ever since the country’s plunge into an economic crisis rivaled only by the Great Depression, good news may be on the horizon. Economists are starting to show signs of being optimistic about the post-recession job market, a fact welcomed by members of the Class of 2013. Today, companies that have survived the recession are revisiting this recruitment strategy and poising themselves to interview and hire the best and brightest straight out of America’s top talent pools—the country’s foremost universities and colleges. According to Forbes’ latest list of America’s top colleges, that group is led by Princeton followed by three other Ivy League schools—Yale (#5), Harvard (#6) and Columbia (#8). With the exception of Cornell (#51), all seven of the eight Ivy League schools were in the top 50 universities in the country. Where will the graduates of these colleges go? If history is any indication, many Ivy League grads will head to New York and take jobs on Wall Street. Many will march straight into Wall Street’s investment banks and financial institutions or even their close cousins, business consulting firms. Last year, the New York Times reported the results of a 2010 survey indicating that a significant percentage of graduates from Princeton, Yale, and Harvard opted for careers in finance (35.9%, 14% and 17%, respectively). Other top career choices included management, consulting, and education. The rest chose to pursue law degrees or join industry sectors (manufacturing, real estate, services, etc.) to take on sales and marketing, engineering, or IT-related jobs. Some also established startup companies. 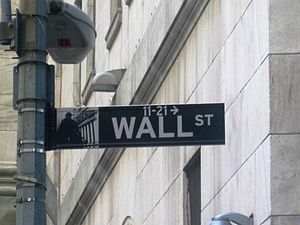 Although Wall Street may have lost some of its allure in recent years, many still believe that finance and business consulting can provide lucrative careers for many of America’s finest and sharpest young minds. In fact, all four of Dartmouth’s 2012 valedictorians chose to begin their careers on Wall Street—three with investment banks and one with a large business consulting firm. The reasons underlying the persistence of Wall Street’s post-grad appeal are not completely clear. A controversial article published in the Washington Post brazenly suggested that the failure of the liberal arts education to provide students with any real marketable skills is largely to blame. In spite of countless hours spent in the pursuit of knowledge, students often find themselves at the end of their college careers confused as to what exactly they are qualified to do. Given that so many of Wall Street’s institutions promise to provide new hires with training and experience, it is not difficult to understand why such an offer would be compelling. The article also raised other more obvious reasons why Wall Street remains such a big draw for Ivy Leaguers (a few of which are open for a debate and a subject of another article). For one thing, Wall Street boasts a substantial number of Ivy League alumni who aggressively recruit from their alma mater, perhaps because they feel they know what they can expect of these grads. They are smart, hardworking, and ambitious— traits that any institution would value. Conversely, new grads are always looking for mentors to help them get on the right career track—and who better to help them out than their fellow alumni? An additional draw for these grads may simply be the lure of New York—if you can make it here, you can make it anywhere. It’s the city where everything happens, and where some of the world’s most important—business tycoons, real estate moguls and media magnates—work and live. It’s ambitious, exciting, competitive, and challenging—perhaps not all too different than the environment from which many recent graduates are coming. What does this mean for the members of the graduating Class of 2013? The ongoing migration from the Ivy League to Wall Street confirms that college grads are already well aware of the factors that are crucial to career success. Their gravitation to institutions promising on the job training and practical experience indicates they know a good education may give you a leg up on the competition, but skills and experience are ultimately what matter most. Moreover, they recognize that often it’s not what you know, but who you know. If you are going to make it in this world, it’s not a bad idea to situate yourself where the action is and associate yourself with the right people. All things considered, for the graduating class of 2013, Wall Street will probably continue to be a pretty good bet.